The greater city or principality of Aviles covers a small area of approximately twenty five square kilometres and it sits just off the cape of Penes. Like Oviedo and Gijon, Aviles has an industrial base although some of this industry has now given way to the more high tech and commercial business sectors. To the outskirts of Aviles can still be seen the iron and steel works along with the other heavy manufacturing industries, but these are now less prominent than they once were and certainly less so than those of Oviedo an Gijon. The port too is commercial in nature and the most easily accessible parts of it, which lay close to the historic quarter, are functional rather than visually appealing. 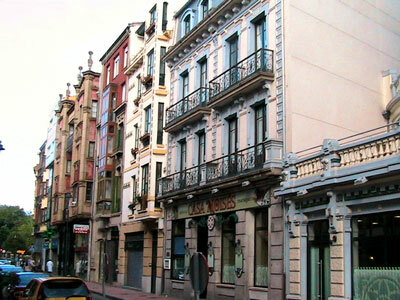 Although Aviles has a beautiful old district, it is also a modern thriving city with a strong commercial centre and a large number of high street stores. This however is a part of the city that few tourists will see as most will (wisely) commit their visiting time to sightseeing in the old quarter. Away from the historic district, Aviles has a more modern feel and although it is less developed and considerably smaller than Oviedo, it does have a few characteristics to endear it. Many parts of the new town were developed in the twentieth century and they occupy a level stretch of territory that expands out from the old district and away from the estuarial river. Because of this, the more recent developments are built with town planning in mind and this makes Aviles easy to navigate and find one's way around. Within the newer regions of the city, Aviles has a mix of purely functional and slightly more aesthetically appealing buildings, but the new city is there for business rather than for sightseeing. For those wishing to explore this district of Aviles the attraction will almost certainly be the finding of a good restaurant, or the exploration of the city's shopping areas. Sightseeing, scenic walks and heritage are best reserved for the old town and the areas close to the river. 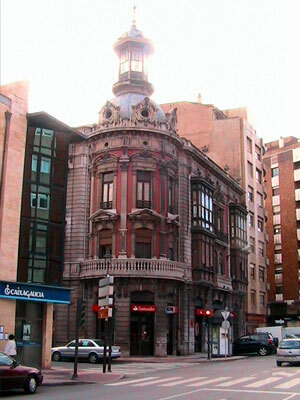 The newer expanses of Aviles are however where most of the city's hotel accommodation is to be found and, as a commercial centre, there are a number of typical “business” style hotels available. Finding something more rustic and economic will prove somewhat of a challenge, even in the more rural districts outside the main metropolis. The more recent expansions of Aviles have certainly added to the city's prosperity and wealth, but in truth will do little for the tourist. Aviles is a great place to visit and explore, but only when the general boundaries of the old town are used an invisible barrier denoting where to and where not to go. Any tourist sticking to the historic quarter will not be disappointed, but wondering in to the newer districts will not prove very rewarding unless the objective is one of shopping or eating.